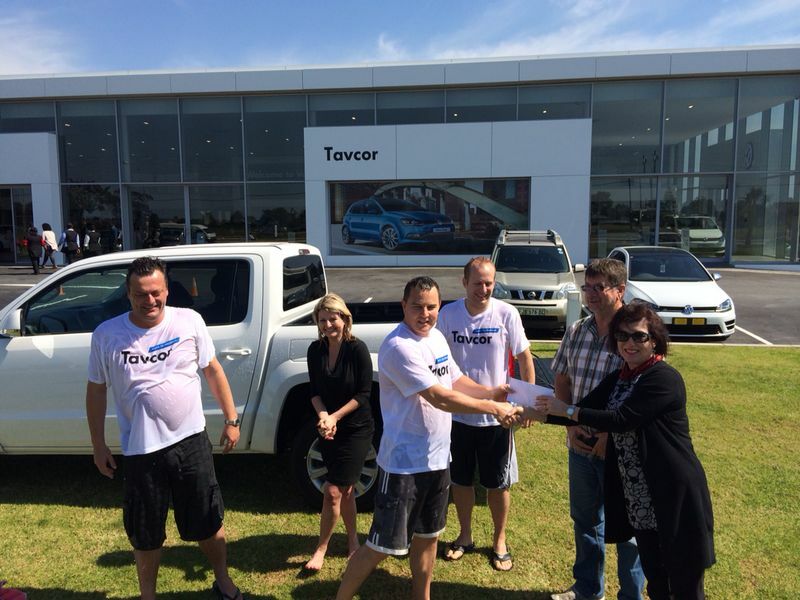 Tavcor donates to St F Hospice and challenges other dealers – so humbling! Last night, Mother Nature emptied her buckets of ice and snow and water over Port Elizabeth and the Eastern Cape, answering the call to the Ice bucket challenge. So now, this morning, part 2 of the challenge remains. To whom or what should a donation be made? Is it because you want to be philanthropic and donate money towards research to eradicate these scourge diseases? I am yet to be informed that there is any recognized brain research being done in South Africa. Until that happens, I am of the opinion that NO research is being conducted. So why give your money to nobody? Is it because you want to make my life and that of my fellow twenty-odd ill compatriots a little easier? So who cares for us? Who makes our lives easier and more comfortable? Who provides us with the arms and legs and lungs and tongue that we lose? Who provides the hugs, the care, the love, the psychological assistance, the 24 hour assistance, the medication, the physio- and speech therapy, the crutches, the wheel chairs, the breathing apparatus and all the other apparatus that we need to enable us to live a somewhat dignified life – a life that we, as healthy people, take so,for granted? In the first instance, we are dependent on our families. 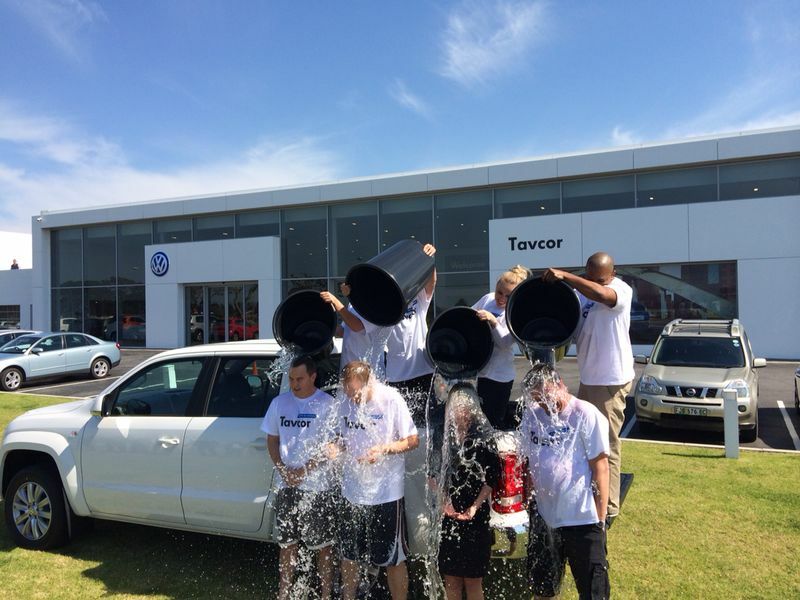 In the second instance, they depend on organizations such as the Hospice Organisation (the St Francis Hospice of Port Elizabeth, in particular) and the Motor Neurone Disease Association of South Africa. These organizations, who do sterling work, are dependent on public ( that’s your!) assistance. So, if that’s on your MiND today, go to http://www.hospice-PE.co.za or http://www.mnda.org.za and make your donation there! All the details are there to make it easy for you. No more worries for you! We thank you for caring and sharing. Show your support at the Kings /Lions game this Saturday. The last few days have seen a worldwide viral explosion of “Raising awareness of Motor Neurone Disease (MND) / Amyotrophic Lateral Scelerosis” by having celebrities pour iced water over themselves. What a noble and wonderful cause, because not only is awareness being raised, but so also is money being raised for the cause, and that, I guess, is the primary reason for raising awareness in the first instance! When I was diagnosed with CBD some eight years ago, I certainly was not aware of degenerative neurological illnesses.My sole objective these last eight years, through my radio programme, my blogs and my personal appearances, has been to make people aware about these sort of illnesses. I am, therefore, only too happy to see these sort of awareness campaigns being staged. But the “staging” of the campaigns and the concomitant raising of funds is where I have a problem. Very glibly, it is advised that the funds raised are to raise awareness, for research, for medical assistance, for charity, for some or other Foundation, organisation or whatever. And a gullible public buys into this! No one really asks how much was raised, how much was spent on expenses, how much ended up in the coffers of the organisers, and how much actually went towards the actual cause itself. 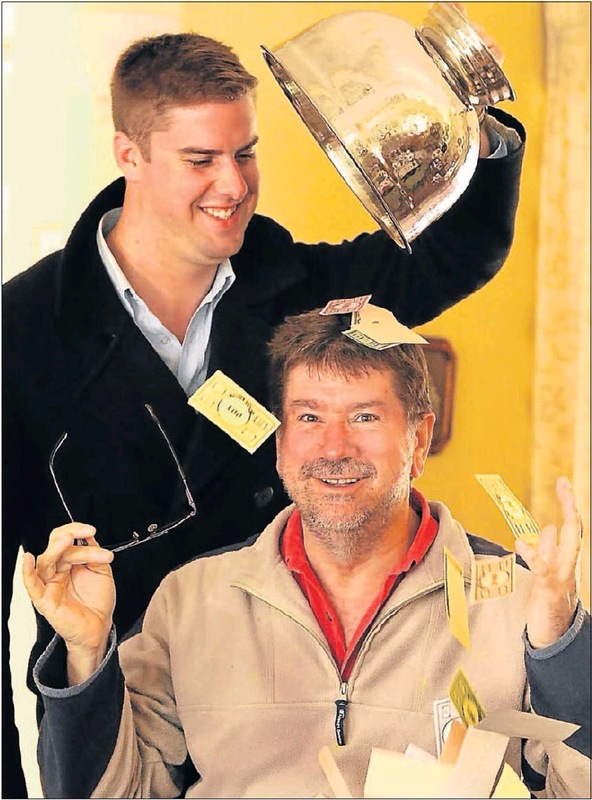 The organisers are usually quite mum about producing an income statement for public consumption. Right now, I am aware of some six (maybe more!) different “organisations” that are “raising awareness” and funds for MND in the Port Elizabeth, Jeffery’s Bay and Grahamstown areas. Then there are other public activities being organised supposedly also for other charitable reasons. Despite there being legal requirements and guidelines for such activities, many of these so-called charity campaigns are simply flouting the law and are mere business enterprises making money for their entrepreneurs. Clever marketing campaigns enable them to continue to do so and flourish, because a sympathetic public believes that their humble contribution is going towards a good cause! Unfortunately, the good cause never sees the contribution! For the record, I am unaware of any centre in South Africa or any medical professionals who are actively involved in MND (or other neurological illnesses) “research”! I would be only too happy to be shown otherwise or to be told just how many millions of the funds being raised are actually ending up in the research coffers for public benefit. For fund raisers to claim that the money is being used for MND research in South Africa, is, in my opinion,just not true! More money should be going towards lobbying government to ensure that the Health Act and Medical Aid rules are changed in SA to ensure that neurological illnesses are recognised as prescribed minimum benefit illnesses. MND patients, therefore, would be assisted with medical expenses by their medical aids and would not be dependent on public welfare and kind donations of these so-called fund raisers! We need to raise awareness that, because of existing legislation, MND and other neurological illness patients, by and large, have to foot their medical accounts themselves. What discrimination is that? But, when all the ice has melted and the temperature and awareness raised, just where is the money going? I think the public needs to start asking these questions and demanding answers! We do so sorely need more awareness to ensure that research is being done into these horrible diseases. Maybe no cure for us for us but, someday, others will be spared the horror of having to deal with these debilitating neurological diseases. So what’s ALS / MND all about? I have been brought down by the common cold!